I used the Anti-Aging Mask while taking a hot bubble bath with essential oils and truly felt like I was at an upscale spa. I stored it in the fridge for a few hours before I applied it for a cooling more refreshing feeling and my skin was left incredibly smooth & firm. I massaged the extra serum over my neck and chest to get the most of it. .:. Day 5 » Bel Mondo Beauty Anti-Aging Mask .:. This is made of biocellulose and adheres to your skin exactly as it should. It contains Syn-Tacks, a potent peptide combination known for boosting cellular communication and fighting wrinkles. I used this while taking a hot bubble bath with essential oils and truly felt like I was at an upscale spa. I stored it in the fridge for a few hours before I applied it for a cooling more refreshing feeling and my skin was left incredibly smooth & firm. I massaged the extra serum over my neck and chest to get the make the most of it. .:. 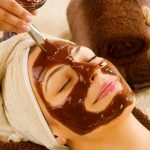 Day 6 » Patchology SmartMud Mud Masque .:. A luxurious, unique blend of kaolin clay, activated charcoal, glycerin, hydrolyzed collagen and volcanic ash. It’s a 2-piece mask that applies smoothly and fit my face perfectly. A pore clearing mud formula + sheet mask = the best of both worlds, without all the mess. 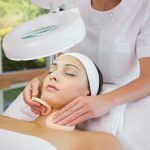 One 30 minute application left my skin insanely clean, detoxified and oil-free. 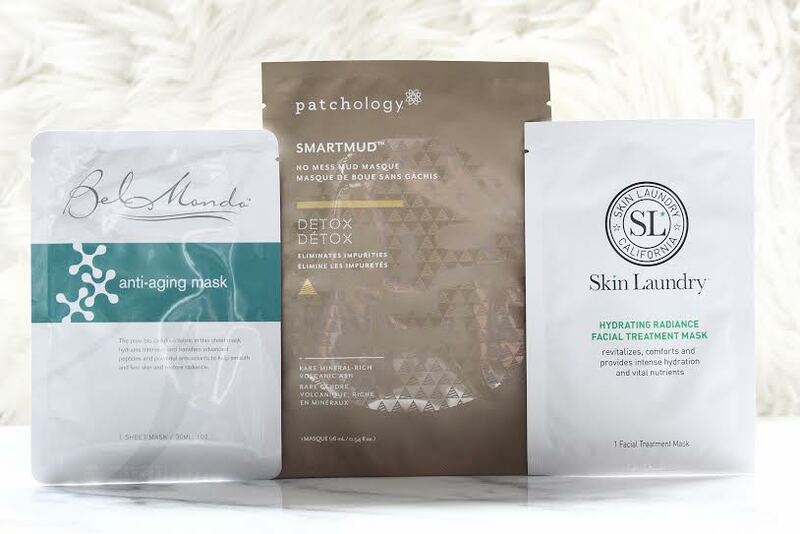 I LOVE the entire sheet mask collection from Patchology (more details to follow in a future post) and this is definitely one of the best masks I’ve tried and offers the fastest, most noticeable results. .:. Day 7 » Skin Laundry Hydrating Radiance Facial Treatment Mask .:. With ingredients like meadowfoam seed oil, niacinamide, acquacell and sodium hyaluronate, this is designed to brighten, relax, moisturize and replenish skin. The ingredients are really concentrated and this mask was kind of harsh on my skin and left it a little red after my first application. It contains plenty of serum, so much so that I had to wipe off some after removing this mask even after massaging much of it into my skin. It is definitely one that I couldn’t use more than once a week, but did leave my skin very soft.